Our most popular trip is a 16 day itinerary jam-packed with New Zealand's top destinations and experiences. We’ll take you to the scenic highlights of the North and South Islands where you’ll discover golden beaches, majestic mountains, Māori culture, surreal landscapes and a big dose of adventure! From Auckland to Christchurch (or, from Christchurch to Auckland – please see the reverse itinerary), you’ll soon see that New Zealand is filled with many different landscapes and opportunities for adventure! 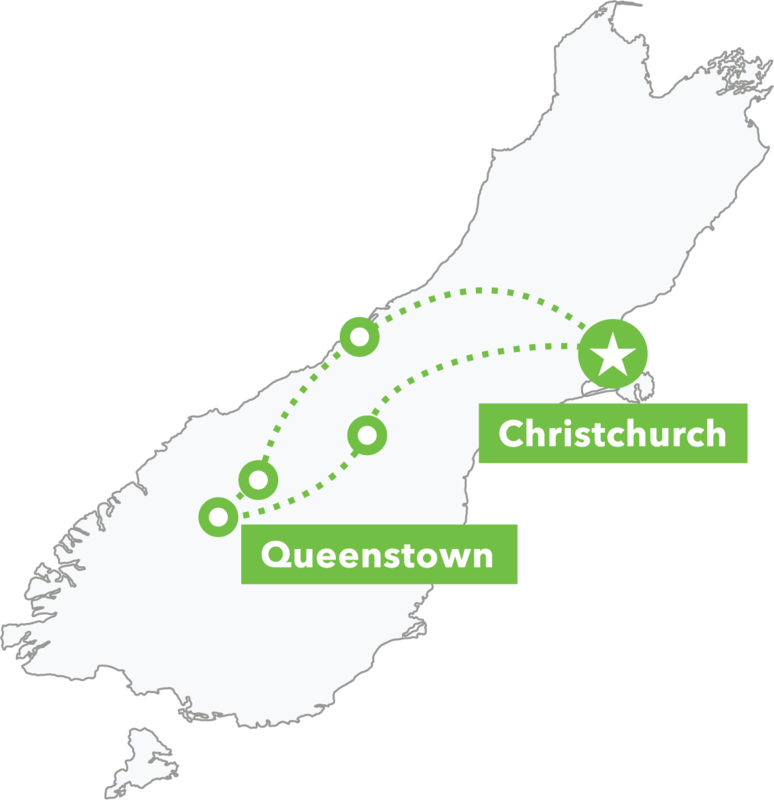 This small-group guided tour of the North and South Island will visit Coromandel, Waitomo, Rotorua, Taupo, Wellington, Kaikōura, Wanaka, Queenstown, Lake Tekapo (an International Dark Sky Reserve), and Franz Josef Glacier, with the option to visit Hobbiton, The Tongariro Crossing and Milford Sound along the way. Our Amplified tour comes complete with some very special inclusions: experiencing a Māori cultural night traditional hāngī meal, learning haka and poi dance, and carving your very own pounamu (greenstone/jade) pendant in Franz Josef. 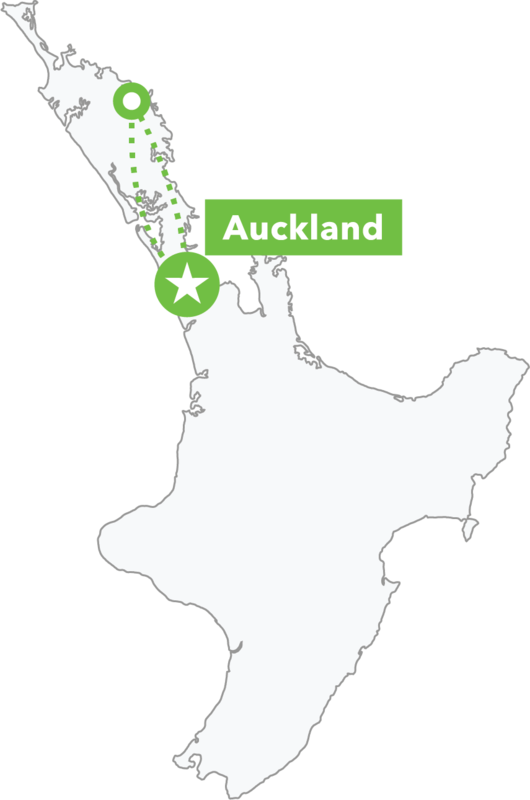 As the tour starts early in the morning, you can opt to book accommodation in Auckland or Christchurch with us the night before the tour – only having to walk downstairs on the day the tour starts makes for a stress-free morning! Upgrading your accommodation to a two person private room costs $1399. You can select this upgrade when you start building your tour online. Please note: private room upgrades are not available for the one-night shared cultural experience (Murupara). 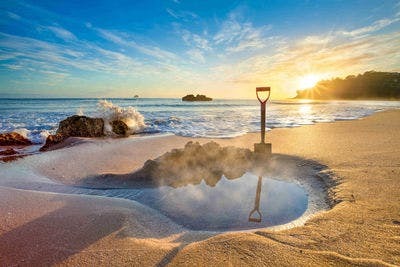 If you arrive in Auckland with a few days to spare either before or after your tour, we have a great three-day Bay of Islands Tour which showcases the Northland region of New Zealand. 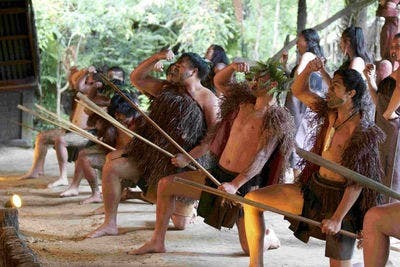 Experience a living Māori village, learn the world-famous haka, enjoy a traditional hāngi and carve your own jade pendant. You’ll see majestic mountains, glacier-fed rivers, geothermal lakes and you’ll dig your own hot tub at a beach! Suitable for all abilities, it’s the best way to see the bluest glacial ice. We’ll kick things off with an iconic Kiwi road trip – leaving the big city and heading to a beachy paradise of oh-so-perfect scenery in the Coromandel. The perfect beaches and massive rock arches of Cathedral Cove are calling us this morning – drink in the scenery before we head to Waitomo. Explore an underground cave system illuminated by thousands of glowworms in Waitomo before we travel to the impressive geothermal wonderland of Rotorua. Choose your own action-packed Rotorua adventure, or maybe take a side-trip to Hobbiton before we end our day with a very special Māori cultural experience. From mesmerising mud pools to the thundering rapids and on to Australasia's biggest lake – the central North island’s volcanic landscape is yours to discover today. Challenge yourself or unwind in style – you've got a full day in Taupō. The famed Tongariro Crossing is today’s optional bucket-list item (weather permitting). A drive-by tour of some Lord of the Rings filming locations is part of the long-ish drive today. Foodies and craft beer lovers will savour Wellington’s bars and eateries. Venture around Wellington before taking a scenic ferry journey across the Cook Strait and get up close and personal with the South Island. The Kaikōura Ranges make for an epic backdrop for all the marine and wildlife activities you can enjoy here including whale watching and dolphin encounter tours. See the innovative ways Christchurch is rebuilding after the 2011 earthquake, and then get your cameras ready for the turquoise waters and International Dark Sky Reserve of Lake Tekapo. From the golden tussocklands of Mackenzie Country to the home of bungy-jumping and on to the jaw-dropping beauty surrounding Queenstown: it’s like you’re driving into a postcard. This is New Zealand’s adventure playground and the perfect spot to check off bucket list items and challenge yourself! For scenery lovers, Milford Sound is a must-see option. On the way to wondrous Wanaka (cue more towering peaks and another glacial blue lake) we’ll stop in at Arrowtown, a charming historic gold rush village. Hot tip: don’t nap on the bus! Today’s road trip to the UNESCO World Heritage area famous for its glaciers is rated by many of our guides as their favourite. Franz Josef Glacier has been around for 18,000 years – it’d be rude not to explore it! Today your tour includes the chance to carve a greenstone pendant. Let’s end on a high: heading up the rugged West Coast, we board the famed Tranzalpine train which traverses the Southern Alps to your journey’s end in Christchurch.